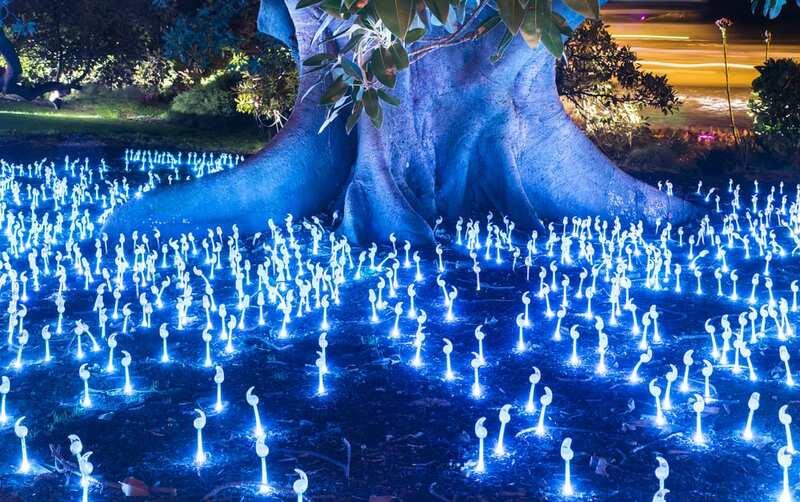 The largest festival of light, music and ideas in the Southern Hemisphere is back. And the 2019 program is ready to glow you off your feet. Friday 24 May to Saturday 15 June 2019 will see Australia’s most loved and awarded festival light up Sydney for its 11th year. The VIVID Sydney lineup will include a Pixar Animation Studios exhibition at The Rocks’ Argyle Cut. VIVID Ideas will see features from Spike Lee and Esther Perel, and VIVID Music as well as music headlines The Cure, RÜFÜS DU SOL, FKA Twigs and Underworld. This year, Vivid’s Light Walk will see 50 radiant installations in the Southern Hemispheres largest outdoor gallery of its kind. 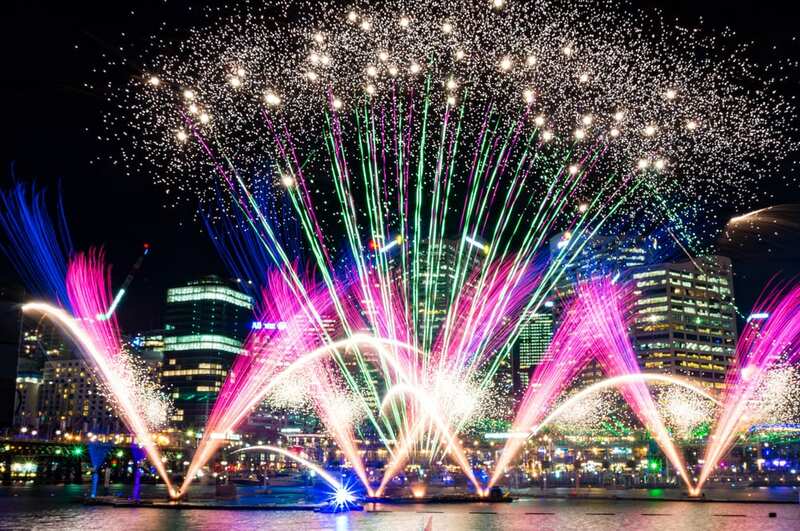 Three kilometres of light spectacular will spread across Circular Quay, Darling Harbour and the Royal Botanic Gardens, and illuminate Sydney City for 23 nights. A collaboration with PIXAR will illuminate Sydney’s heritage-listed Argyle Cut in The Rocks. The exhibition gives a behind-the-scenes peek into the evolution of animation, and will include character favourites such as Woody and Buzz Lightyear. The Lighting of the Sails will light the Sydney Opera House with the works of Chinese-American artist/filmmaker Andrew Thomas. Vivid 2019 will also feature the Firefly Field, a mesmerising installation of 500 flying light points in an aerial performance. Luna Park and its Ferris Wheel will also be laced with LED lights. Taronga Zoo’s Lights for the Wild will also return in 2019. 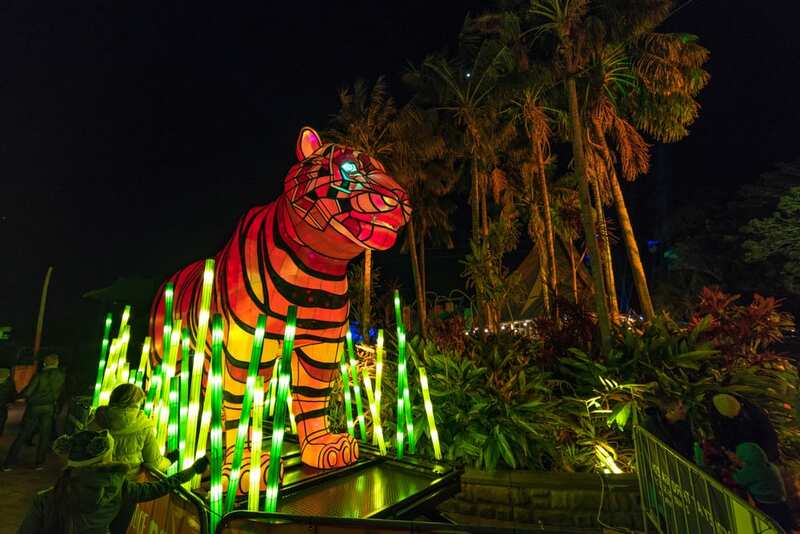 The illuminated animal trail will include a family of glowing Silverback Gorillas, the iridescent Marine Turtle and the Weedy Sea Dragon. The illuminated Sumatran Tiger Cubs will also mark the birth of three new tiger cubs. 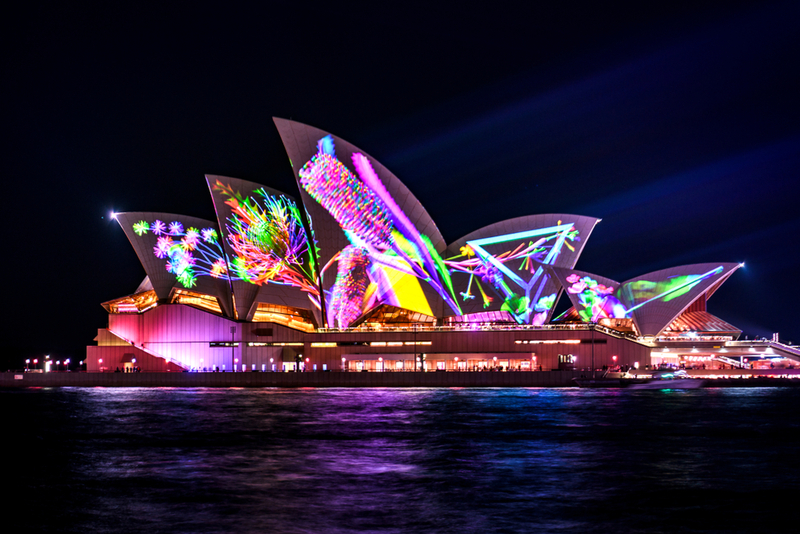 Vivid’s lights, audio and illuminated artworks will spread across Sydney at a multitude of other venues and locations, including the Royal Botanic Gardens, Museum of Contemporary Art, Foundation Hall, First Fleet Park, Hickson Road Reserve, Customs House, Chatswood Chase and Barangaroo. 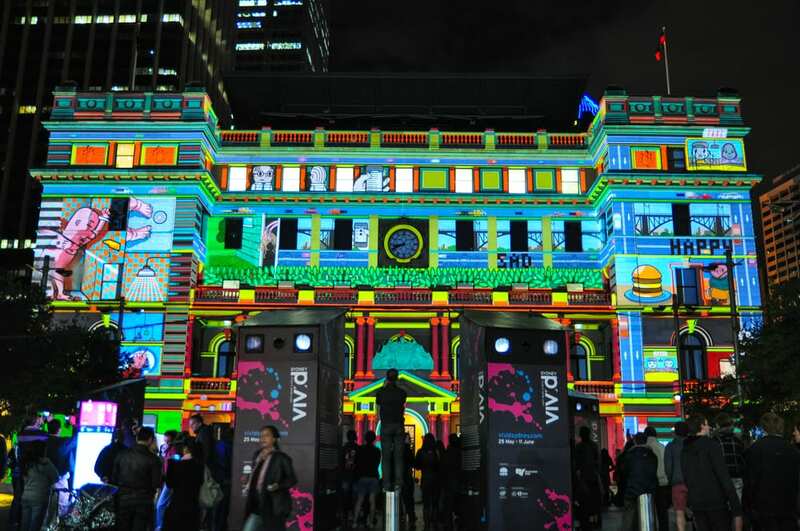 The three weeks of Vivid will also see talks, forums and hands-on workshops throughout Sydney. Delving into topics such as love, loneliness, personal politics, ethics, space-exploration and our ever-connected lives in the digital world, the Vivid Ideas program will feature many big names. Vivid Art After Hours will return this year to the Art Gallery of NSW for free Wednesday evenings that combine art activities, live music and talks by various creative thinkers. Vivid’s lineup will include appearances from Meshel Laurie, Omar Musa, Abdul Abdullah, Bryony Cole, Marc Fennell, Eileen Ormsby and the team behind the hit ABC TV show You Can’t Say That. 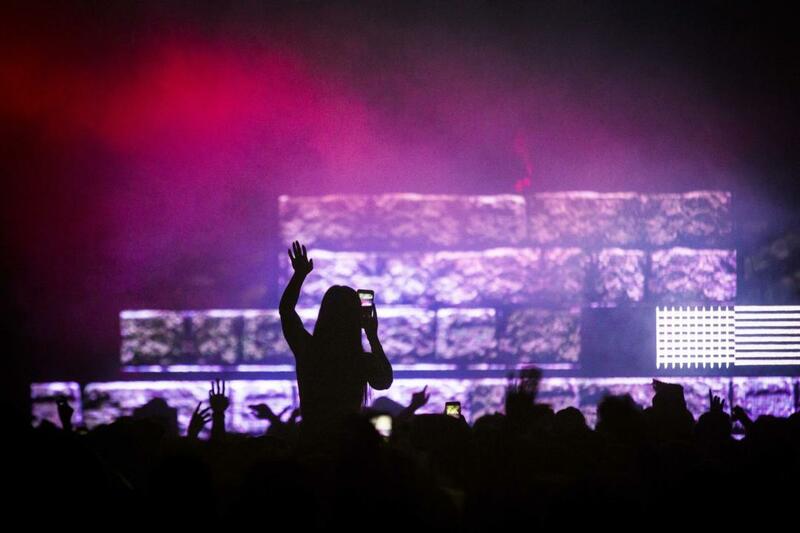 Sydney’s live music culture will come to life this winter with an array of influential overseas acts as well as a firm focus on local talent. VIVID 2019 will see British alternative rock pioneers The Cure and UK electronic titans Underworld headline at the Sydney Opera House Concert Hall. Artists RÜFÜS DU SOL, FKA Twigs, Maggie Rogers, Sharon Van Etten, Herbie Hancock, Fuzzy Events (featuring Hayden James, Touch Sensitive and Mallrat), Paul Kelly, James Ledger, Kate Miller-Heidke, ZOFO and Concertos on Fire will also be featuring at Sydney venues Carriageworks, the City Recital Hall, and Sydney Opera House Concert Hall. The illuminated chaos kicks off Friday 24 May 2019. What’s new on the New South Wales South Coast?